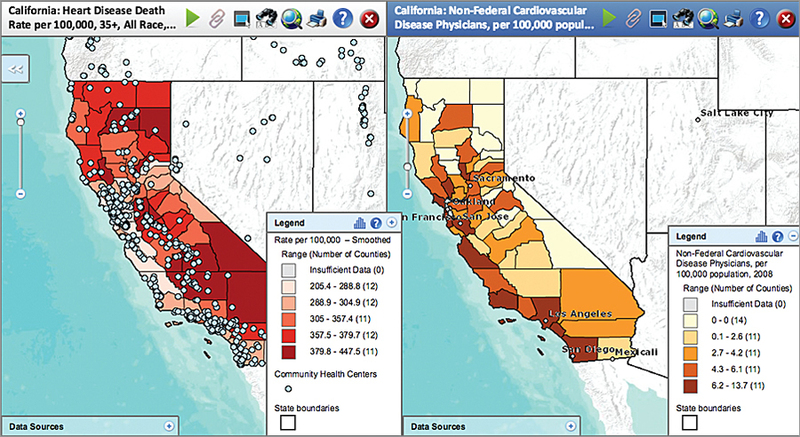 The Interactive Atlas of Heart Disease and Stroke application built for the Centers for Disease Control and Prevention (CDC) could help answer this question and others related to cardiovascular conditions. Cardiovascular disease, including heart attacks and strokes, is the leading cause of death each year in the United States for both men and women. According to a report recently released by the CDC, more than 800,000 people die from cardiovascular disease each year—that's one in every three deaths. Many of these deaths, especially those of people under age 75, could be prevented. "Too many lives are being cut short due to heart disease and stroke," says Linda Schieb, an epidemiologist at the CDC and lead author of the report. "Many of these deaths could be prevented by improving health care systems, creating healthy places to live and play, and supporting healthy lifestyle choices." "We are quite proud of the work we have done with the CDC team," says Dan Levine, chief technology officer and federal program manager for GISi. 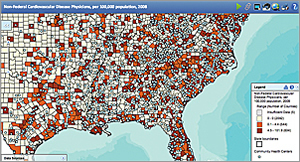 "Not only are we helping make this data widely available and understandable by using the mapping medium, we have also simplified the back-end administration so that the CDC scientists can manage the site themselves by adding new data, changing map content and display, and adding user tips and tricks." 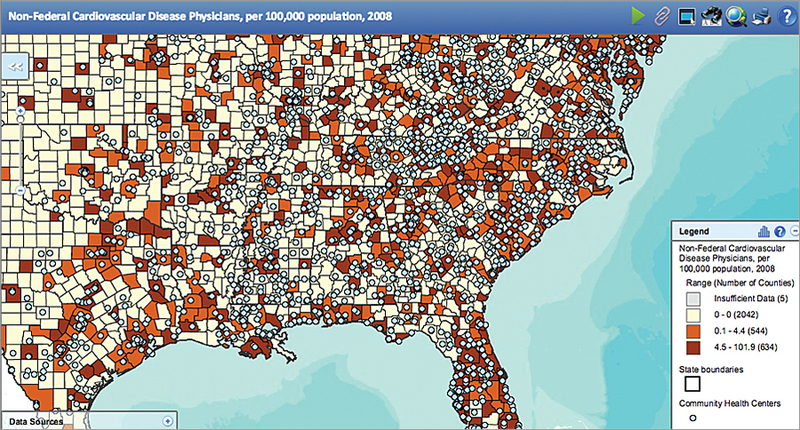 People in all 50 states and more than 100 countries have used the Interactive Atlas of Heart Disease and Stroke application since January 2013. 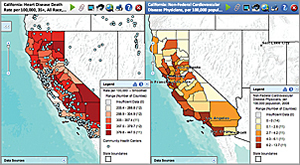 With this innovative application, the CDC garnered Esri's 2013 Special Achievement in GIS Award at the Esri International User Conference in San Diego, California, July 2013.